Need office removal services in London? 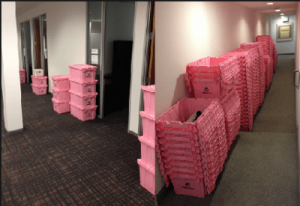 Get a free quote for stress-free office relocation service in London. At Office Removals London, we offer quick and efficient office relocation services for companies in and around London. Our offering encompasses a wide range of services including packing, careful furniture dismantling, bespoke IT systems migration, and much more. We also endeavor to draw up comprehensive removal plans for our clients to ensure that they are fully briefed before work goes ahead. 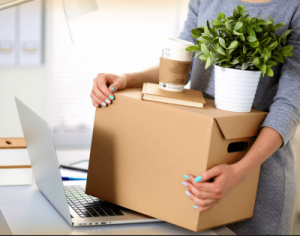 As a dedicated team of expert office movers, we are well-attuned to the needs and desires of our clients, who often use the opportunity to relocate as a chance to rejuvenate their businesses and look towards a profitable new future. Indeed, we understand the importance of a swift move when it comes to business success, and try to transfer all items to their new homes within a matter of days, often over a weekend. We are considerate of the need to keep business disruption to a minimum, so train all of our staff to practice discretion and courtesy while undertaking a job. What’s more, we typically undertake our work out of business hours, something particularly important for organizations that are client-facing. To ensure your colleagues and employees can get straight back to work once the move has been completed, we offer to move all IT infrastructure first. This allows all of the necessary connectivity and serviceability checks to be done in good time. Office Removals London offer some of the most secure business removals services in London. 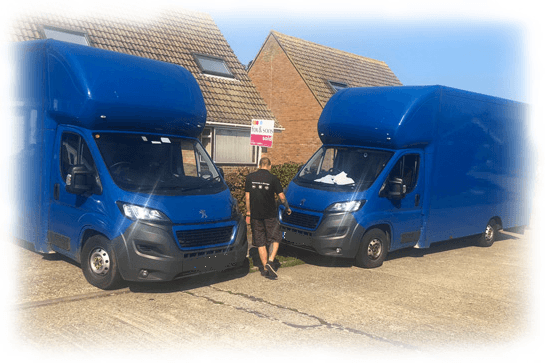 We equip our team with the highest quality packing resources to ensure that your property is not damaged in transit, and our vehicles are all fully serviced and secure to give you peace of mind. 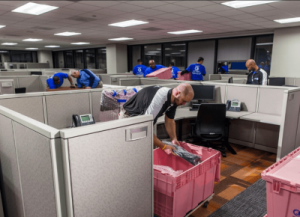 As well as helping clients relocate, we remove any unwanted items in a safe and responsible manner, endeavoring to recycle where possible. For items that may pose environmental risks such as electrical goods, we make sure to seek out ethical disposal methods that minimize these risks. Unlike many other commercial removal companies London based, we offer internal office removal services. This means that our team is on hand to do the heavy lifting work for companies that are planning to conduct an overhaul of their furniture and layout arrangements. Are you ready to kickstart your next office removals in London with a committed, friendly and professional moving company? Call Office Removals London today on 020 3808 4302 or obtain a free quote instantly on our website. We are here to help whatever the company size. © 2018 Copyrights Office Removals London. All rights reserved.